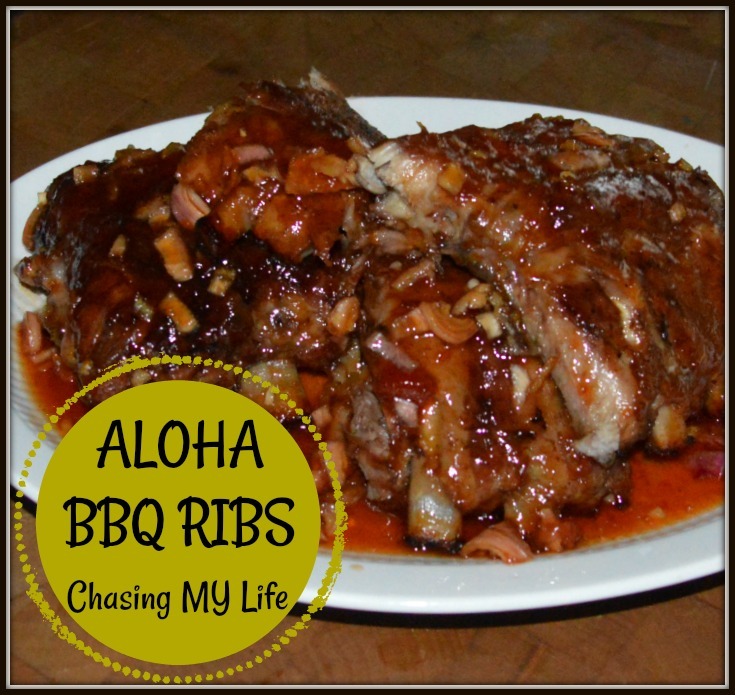 I wrote this back in 2015 and it is still our FAVORITE recipe for ribs. I made them again recently and wanted to update that I used orange marmalade instead of the apricot pineapple jam and hubby thinks they are even better. Bring ribs to room temperature. Remove the membrane from the back of the ribs. Generously sprinkle with salt and paper. Line a large cookie sheet with heavy duty foil. Bake for 2 hours undisturbed. Uncover, add pineapple slices and top with sauce and bake another 30 or minutes until the meat pulls away from the bone easily. In a large sauce pan whisk together all the ingredients and bring to a SLOW boil, stirring frequently. Reduce heat to as low as possible and simmer while the ribs bake. Sauce will thicken during this simmering so stir frequently. This sounds so good! I typically just use jarred bbq sauce but I get sick of eating ribs that always taste the same. Pinned to try. I hope you enjoy this recipe. It is so easy and no pesky preservative ingredients like the jarred sauces. Thank you – hope you enjoy them. I was gone for my Brother's wedding this weekend and am sooooo far behind I didn't even get a Menu or Happy homemaker post done this week.